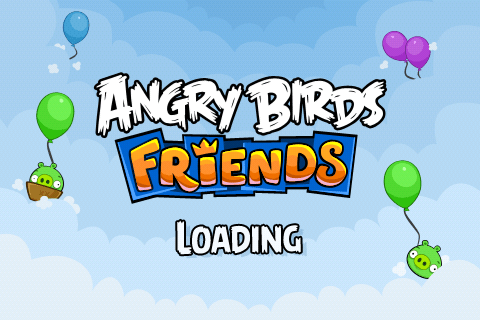 Rovio, the developer of the World famous game ‘Angry Bird’ has now introduced the newer version of the game named as, ‘Angry Birds Friends’ for the users of Android and iOS which can be downloaded free from the iTunes and Paly Google. This is developed for the users to compete against their Facebook friends. It is available since Thursday at both, Apple’s App Store and Google Play. The free game is offered in the socially-networked twist where you can compete against your friends at Facebook in order to down those bad piggies who have taken the chickens of the Angry Birds. In this FREE new game, the users of iOS and Android can call to your friends to challenge the Facebook friends to win the title of ultimate pig popper and bird flinger. Now an option to play weekly tournaments with your friends and try to win desired bronze, silver and gold trophies. You can not only play, but can gather daily rewards, send and receive gifts to your friends and boast about your match accomplishments. While playing Angry Birds Friends on Facebook, there is an option to display and / or update tournament progress to make it convenient to start your play wherever you left the last one. Weekly game tournaments with new levels. You may challenge your Facebook friends to win for bronze, silver and gold trophies. And you may boast, send gifts and even invite your Facebook friends to play. 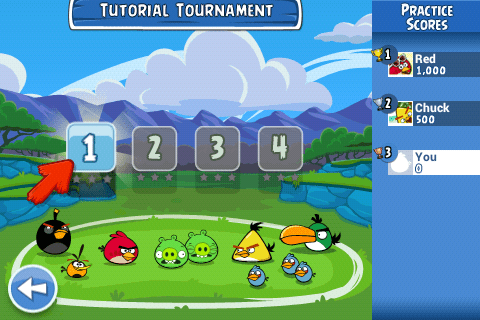 Four classic power-ups along with one exclusive to Angry Birds Friends on mobile. You may win even Daily rewards. You will be provided Free bird coins so that you may complete the tutorial. Now you may ask the question to yourself; whether you are up to the challenge or not. But, this game cannot be played without internet connection and a Facebook login.